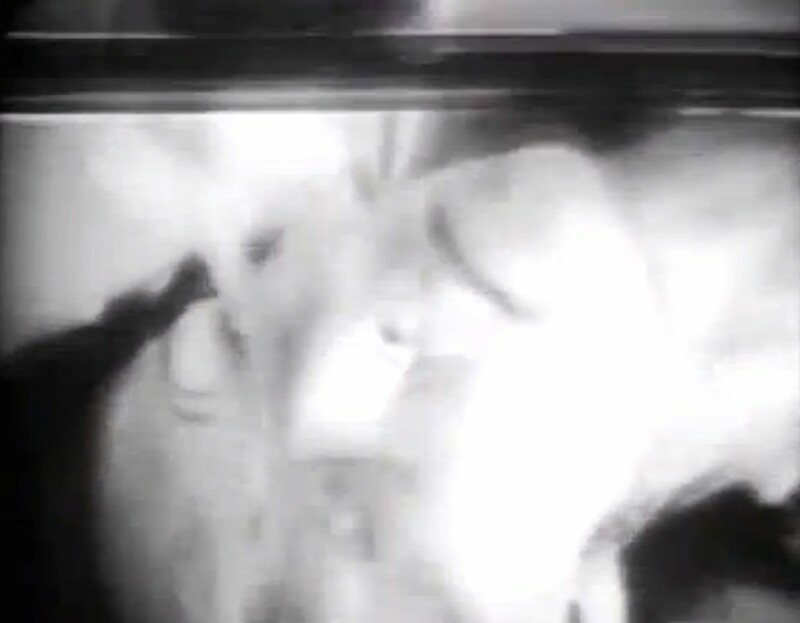 With all the advanced 21st century techniques of media processing and special effects, there is nothing so genuine, pure, beautiful, and powerfully evocative as the simplicity of the vertical roll, as used by Joan Jonas. For those who grew up in the golden age of early black & white TV (1950s and 60s), you probably remember that vertical hold knob, the one that would cause you hours of frustration trying to stabilize a flipping image. It would speed up and slow down until you found the right spot, and the picture would hold, perhaps, for a few seconds or possibly minutes, until the dreaded bar would edge up from the bottom of the screen and you would begin the process all over again. In Vertical Roll, the relentless banging and flipping of the vertical hold perfectly exploits the medium of video as a space for staging a kind of electronic exorcism of the posed female body. It’s a powerful message, one that perhaps evokes special meaning for the boomers who grew up with the spastic flip of the television image – those of us who essentially viewed contemporary culture through the vertical roll.